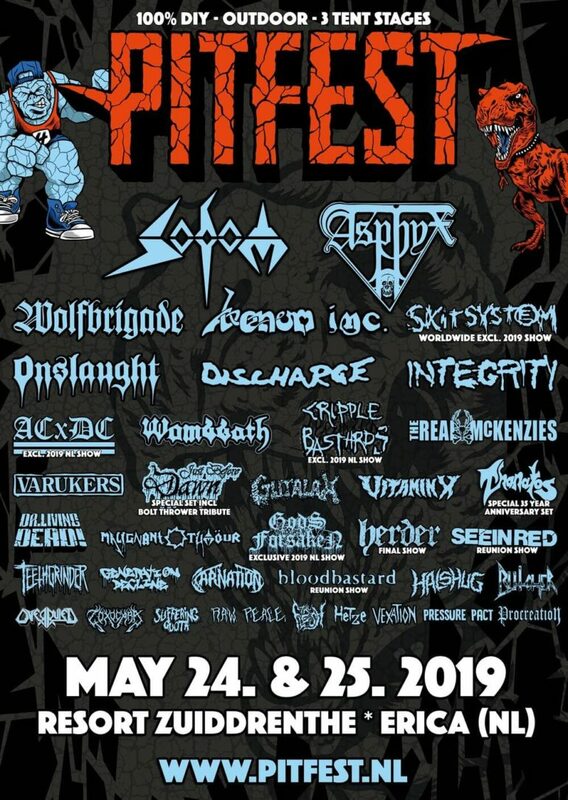 The legendary German thrash metal band Sodom is announced for Pitfest 2019. The band of vocalist Tom Angelripper completes the line-up of the metal festival in a very decent way. A total of 37 bands will strike down in Erica (Drenthe) on May 24th and 25th, like Asphyx, Wolfbrigade, Venom Inc, Skitsystem, Discharge, Onslaught, The Real McKenzies, Wombbath, Dr Living Dead, Herder, The Varukers, Teethgrinder and many more. Go for tickets and info to www.pitfest.nl.